Summary: Since the beginning it’s been clear to those paying attention that we’ve been fed lies about the Libyan War, concerning both events there and American goals and actions. Most journalists ignored the facts, preferring to transcribe the stories fed them by government officials. We can whine about the our cruel leaders and their sycophants in the big bad news media. Or we can acknowledge that we enjoy the spurious but pleasing narratives sold to us more than a complex and ambiguous reality. That, among other things, makes us sheep. Here are links to posts that peak behind the veil of the news media. See the section at the end for additional information. Enjoy these eye-opening articles. Their links provide the meat of their content. Qaddafi stopped his nuclear program. Would NATO have bombed if he hadn’t? Now, Iran watches as nonnuclear states are invaded and nuclear ones win favors. … States under duress, such as Iran, are watching. Having witnessed attacks on Libya, Iraq, and Serbia while nuclear-armed countries remain secure, they can’t help but gravitate toward nuclear deterrence – though Iran’s aggressiveness aggravates regional tensions. This dynamic is even more profound considering that nuclear technology is accessible to many different countries and regions. … The US and other countries that want to move forward with nonproliferation need to understand why states would want the bomb. If fear is driving them, and evidence strongly suggests it is, those fears must be addressed. The threat or reality of military intervention against nonnuclear states (think also Syria), at times done to dissuade them from acquiring nuclear capability, can lead to a self-fulfilling prophecy. Efforts at dialogue, security cooperation, and a renewed commitment to disarmament for all will go a long way toward reviving the nonproliferation argument. Otherwise, that narrative will become obsolete, perhaps dragging the world into a renewed arms race in a more profound and volatile way. Santi is a graduate fellow in the Middle East Studies Center and a PhD candidate in the School of International and Public Affairs at Florida International University. Abdelhakim Belhaj, the top rebel military commander in still war-torn Libya, is an al-Qaeda asset. It doesn’t require a crystal ball to picture that his group – being among the war “winners” – will not be interested in relinquishing control just to please the North Atlantic Treaty Organization. Libya may now face the specter of Muammar Gaddafi forces against a weak transitional central government and NATO boots on the ground; and the Belhaj-led nebula in a jihad against NATO (if they are sidelined from power). (Tripoli) Rebel militiamen, many of them former prisoners of Muammar Gaddafi, have an iron grip on Tripoli, but wonder who will hold long-term power in Libya. Gaddafi is “bombing his own people”. Freedom Fighters — the Angels. Victory for the Libyan People. Maximilian Forte is an associate professor in the Department of Sociology and Anthropology at Concordia University in Montreal, Canada. Since Colonel Gaddafi has lost his military hold in the war against NATO and the insurgents/rebels/new regime, numerous talking heads have taken to celebrating this war as a “success”. They believe this is a “victory of the Libyan people” and that we should all be celebrating. Others proclaim victory for the “responsibility to protect,” for “humanitarian interventionism,” and condemn the “anti-imperialist left”. Some of those who claim to be “revolutionaries,” or believe they support the “Arab revolution,” somehow find it possible to sideline NATO’s role in the war, instead extolling the democratic virtues of the insurgents, glorifying their martyrdom, and magnifying their role until everything else is pushed from view. I wish to dissent from this circle of acclamation, and remind readers of the role of ideologically-motivated fabrications of “truth” that were used to justify, enable, enhance, and motivate the war against Libya — and to emphasize how damaging the practical effects of those myths have been to Libyans, and to all those who favoured peaceful, non-militarist solutions. Diana Johnstone is author of Fools’ Crusade. For additional information about the Lockerbie story, so important in forming American’s viewe of Gadddafi, see More hidden history, more unsettling truths: the Lockerbie bombing. Previous Post Our fears are unwarranted. America is in fact well-governed. It’s an apt quote, and largely true. But not necessarily with respect to geopolitics. 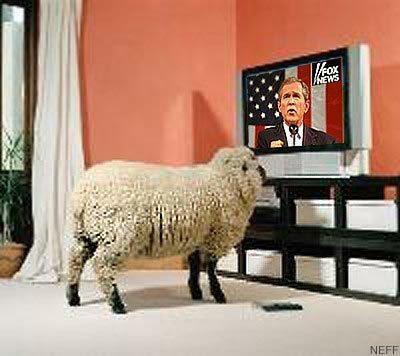 How many Americans wanted to be fed lies in order to build support for the Afghanistan, Iraq, and Libyan Wars? I don’t understand the comparison. What is “teapartyish” about these articles? I know Lybia well enough, because a branch of my family had a large farm there, when Lybia was an Italian colony. They were expropriated and expelled by Colonel Ghaddafi in the Seventies, just like all the ancient Italian colonists. When the diplomatic relations between Lybia and Italy improved, I went there five or six times with my relatives, who living there for two generations, had developed a strong affection for the country and the people of Lybia. That’s what I saw in Lybia, what I think about the war, and how I feel about it. 1) Colonel Ghaddafi was a dictator. His power was based on his tribe and allied tribes, because in Africa everything is based on tribes and clans, except (partially) Islam. His habits and rule were not gentlemanly, nor particularly nice, especially on women, but he did not eat children. 2) The standard of living in Ghaddafi’s Lybia was very high, compared to the standard of living of neighbouring countries. The revenues of oil were employed for improving the country’s infrastructure, and to hire at least one member of every family in some kind of Statal job. (Of course the ruling class took a good chunk of the pie, but incomparably less than, let’s say, Saudi Arabia). 3) When you heard of thousand of refugees fleeing from Lybia, at the beginning of the civil war sponsored by Western countries, you have not been told that they were immigrants from other and poorer countries of Africa, who were working in Lybia and lost their job when the Western invasion began. 4) Easy forecasting: the Lybian people will be worse, not better. The oil revenues will no more be property of the Lybian State. The conditions of the oil contracts with Western companies will worsen (for the Lybians, of course). Nationalized firms and assets will be privatized, and Western powers that be will buy them for a dime. Probably Lybia will break up along tribal lines, for two sets of reasons: a) it’s in the interest of the USA b) if some kind of democracy will be introduced, the people will vote according to its tribe, and very soon either you’ll have another civil war, or a secession. 5) How I feel about all this. I’d be very happy to execute, shooting them in the back for high treason, all the Italian government. Italy succeeded in doing together two things which usually are done separately: dishonour herself, and seriously damage her national interests. Why? 6) Dishonour herself: in 2008, Italy has solemnly signed a diplomatic treaty with Ghaddafi’s Lybia. Contents of the treaty: everlasting friendship, mutual assistance and cooperaion, etc. 7) Seriously damage her national interest: Italy’s oil company, ENI, was the first oil company in Lybia. After the coup, it will be the fourth, if we’ll be lucky. Italian firms of every kind were the most important contractors in Lybia. They will be no more. 8) To sum up, Italy waged war against Lybia AND herself. Why? Because the U.S. government told ours that we had to. (The main U.S. agent in Italian government, by the way, is President Napolitano, a former communist who applauded all the Soviet “fraternal interventions” in Eastern European countries: Hungary, Czechoslovakia. URSS existing no more, he changed Empire). 9) All that (Lybia, Tunisia, Egypt, now Syria, etc.) happened because the USA have decided to enforce an Atlantic strategy of encirclement of Russia (Brzezinski’s “anaconda strategy”). 10) I do not kow how long Europe will accept this kind of relation with the American Empire. I hope not for a long time. 11) Please try to think how you’d feel in my shoes. FM reply: Thank you for sharing your first person perspective on these events! Great analysis and collection of articles. Libya will be colonized once again, and whole Africa along with it. This world is so wrong and unfair. Not to worry. Intent is not capability. Since Mao brought fourth generation war to maturity after WWII, no nation has retained colonies against serious opposition. And most nations — even failed states — can mobize to fight off a foreign army. After six months, NATO got tired, and we wound up with the assault on Tripoli. The assault appears to have consisted of three parts. The first was the insertion of NATO special operations troops (in the low hundreds, not thousands) who, guided by intelligence operatives in Tripoli, attacked and destabilized the government forces in the city. The second part was an information operation in which NATO made it appear that the battle was over. The bizarre incident in which Gadhafi’s son, Seif al-Islam, announced as being captured only to show up in an SUV looking very un-captured, was part of this game. NATO wanted it to appear that the leadership had been reduced and Gadhafi’s forces broken to convince those same forces to capitulate. Seif al-Islam’s appearance was designed to signal his troops that the war was still on. Following the special operations strikes and the information operations, western rebels entered the city to great fanfare, including celebratory gunfire into the air. The world’s media chronicled the end of the war as the special operations teams melted away and the victorious rebels took the bows. It had taken six months, but it was over. And then it became obvious that it wasn’t over. Five percent of Libya — an interesting calculation — was not liberated. Street fighting in Tripoli continued. Areas of the country were still under Gadhafi’s control. And Gadhafi himself was not where his enemies wanted him to be. The war went on. The possibility that foreign special operations troops on the ground were primarily responsible for the seizure of Tripoli is a significant one. FM reply: A great article! Thanks for posting this. Documents found in the abandoned Tripoli office of Muammar Gaddafi’s intelligence chief indicate the U.S. and British spy agencies helped the fallen strongman persecute Libyan dissidents, Human Rights Watch said on Saturday. The documents were uncovered by the human rights activist group in the abandoned offices of Libya’s former spy chief and foreign minister, Moussa Koussa. The group said it uncovered hundreds of letters between the CIA, MI6 and Koussa, who is now in exile in London. Letters from the CIA began, “Dear Moussa,” and were signed informally with first names only by CIA officials, Human Rights Watch said. … Belhadj has said that he was tortured by CIA agents before being transferred to Libya, where he says he was then tortured at Tripoli’s notorious Abu Salim prison. Western intelligence services began cooperating with Libya after Gaddafi abandoned his programme to build unconventional weapons in 2004. But the files show his cooperation with the CIA and MI6 may have been more extensive than previously thought, analysts say. Libya’s civil war ended officially on October 23, with the fall of the pro-Qaddafi stronghold of Sirte, the capture and very brutal execution of Qaddafi, and the end of the NATO bombing campaign. The overthrow of the world’s longest-ruling dictator seemed to show a remarkable common purpose in a country long riven by tribal rivalries — which were expertly manipulated by Qaddafi during his 42-year rule. But since the rebels’ victory and Qaddafi’s bloody end, that sense of unity has begun to unravel, threatening Libya’s transformation into a stable democracy. In early November, rival militias, most of them deriving from particular tribes, withdrew their pledge to disarm, declaring that they would preserve their autonomy and shape political decisions as “guardians of the revolution.” Days before I got to the country in mid-November, fighting west of Tripoli between members of two tribes—the Warshefana and the Zawiye—left at least a dozen people dead. And ambitious former rebel commanders have tried to assert control over all of Libya’s armed groups—only to be ignored and disparaged by rival militias. Meanwhile, Libya’s inchoate government—a mix of Qaddafi-era officials and returned exiles who lack any experience at governance—has all but surrendered its authority to the men with guns. The head of the National Transitional Council, Mahmoud Jibril, who had been on Qaddafi’s economic development board, resigned on October 23. Among other complaints, he said that nations such as Qatar, which gave the resistance strong support, were having excessive influence. … Qatar has sent trainers to Tripoli and has taken the lead in an international effort to build a new Libyan army, though some Libyan leaders have accused the emirate of favoring Libyan Islamists, several of whom have longstanding ties to Doha and received direct Qatari support during the revolution. “The Islamists’ voices are loud, they are better equipped [than any other movement], they have better financing than anyone,” Shammam told me.